Tips from the stationery experts at Papier. Congratulations! If you’re reading this, we’ll take it you’re tying the knot. 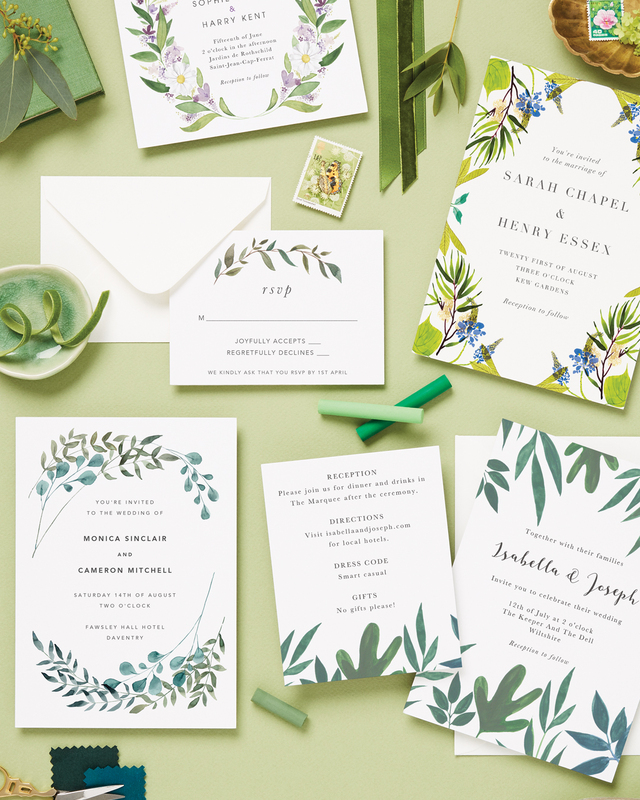 At Papier, we have an eternal love affair with beautiful, personalised stationery, so it’s no surprise we believe it’s an extra-special part of your wedding story. We collaborate with talented artists and illustrators to bring you an unrivalled collection of designs for your big day. All of which can be customised down to the last detail by you and your other half. But what exactly do you need for each step of your journey, and how do you settle on the perfect match for your day? Here, we present a reminder of what you need and when, plus some handy tips you’re bound to love along the way. 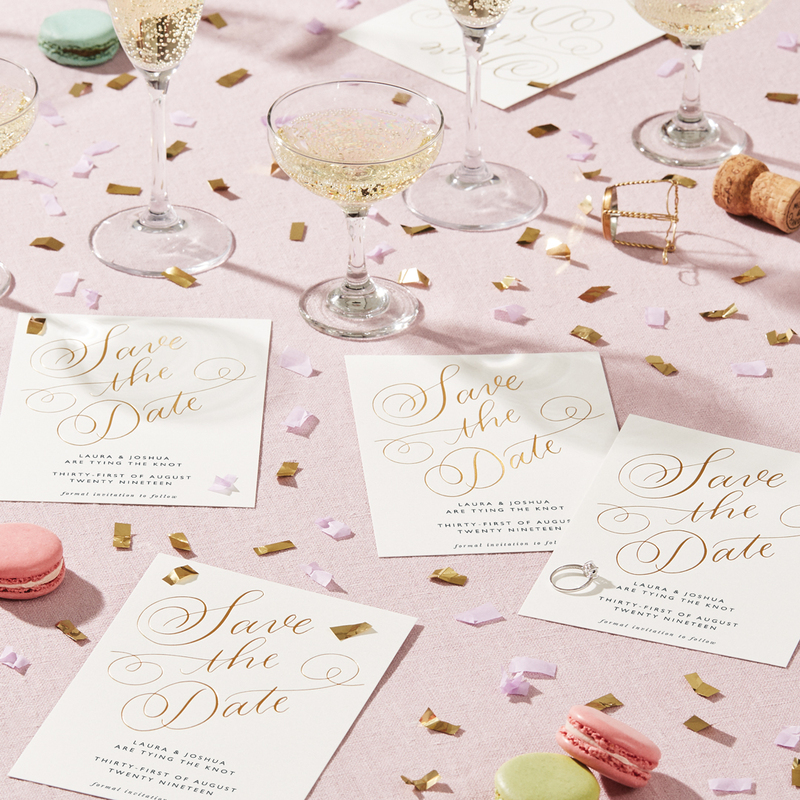 Get guests to pen the day and location of your wedding firmly in their diaries with a show-stopping save the date. Choose a design that will introduce the tone for your day and remember to give 9-12 months’ notice if you’re asking guests to travel abroad. Tip: Let the season and location of your wedding inspire you. Formal affairs call for monochrome and gold foiled designs, whilst pretty florals and palm prints set the mood for al fresco gatherings under the summer sun. 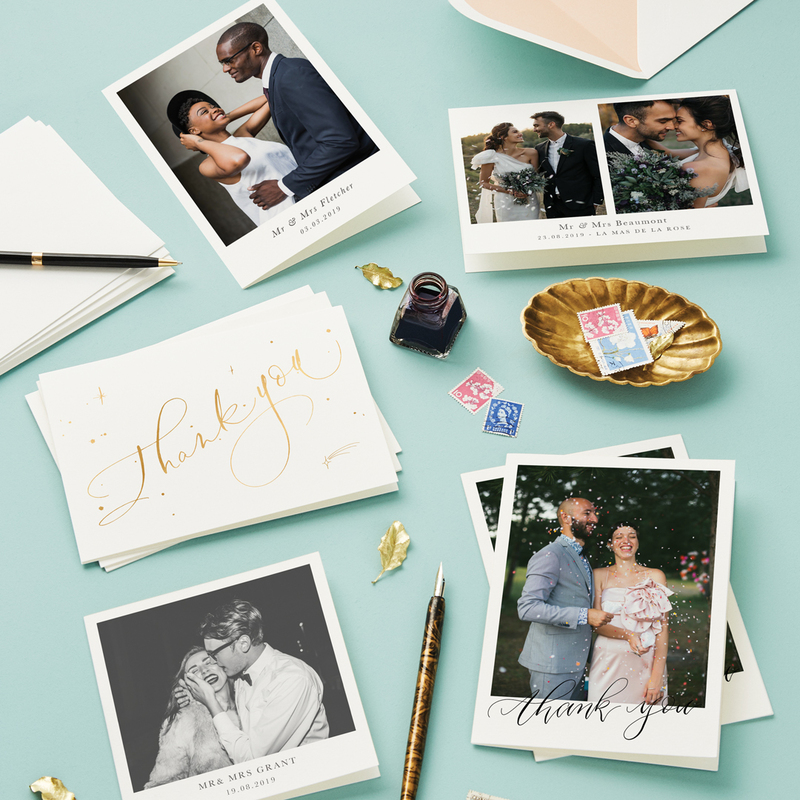 Your invitations should flow on effortlessly from your save the dates. They’re your opportunity to specify finer details, from the time of your ceremony to any gift lists or dress codes. All of our invitations come with the option to add matching info cards, RSVP cards and pre-addressed RSVP envelopes too. 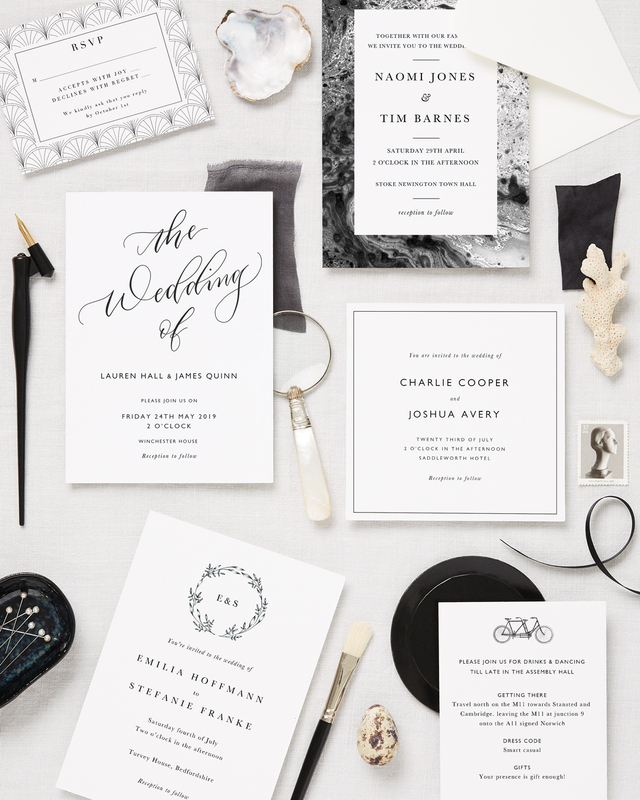 Tip: Order samples before you commit to get a true idea of how your invitations will look and feel. When it comes to on the day details, there’s the orders of service, table plan, menus and place names to consider. 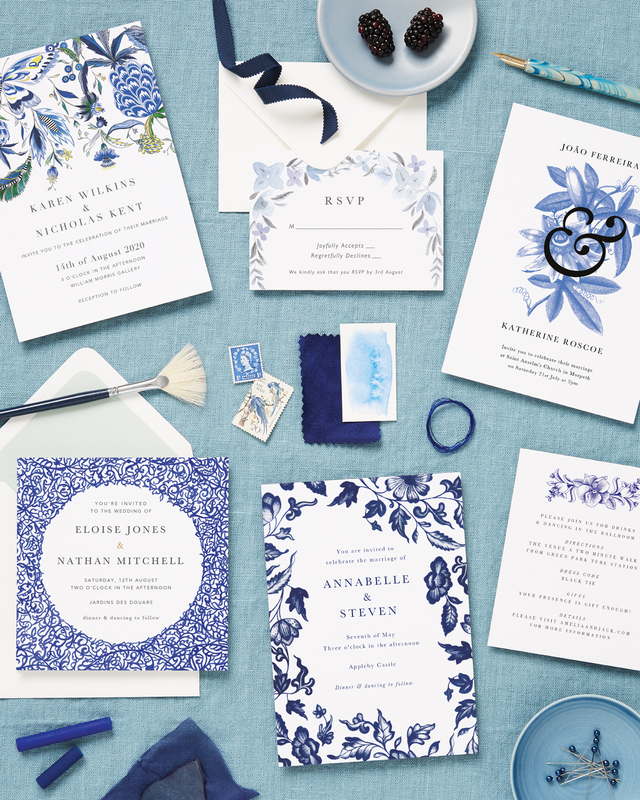 Look for designs that match or complement your pre-wedding stationery and reference them in your table settings. 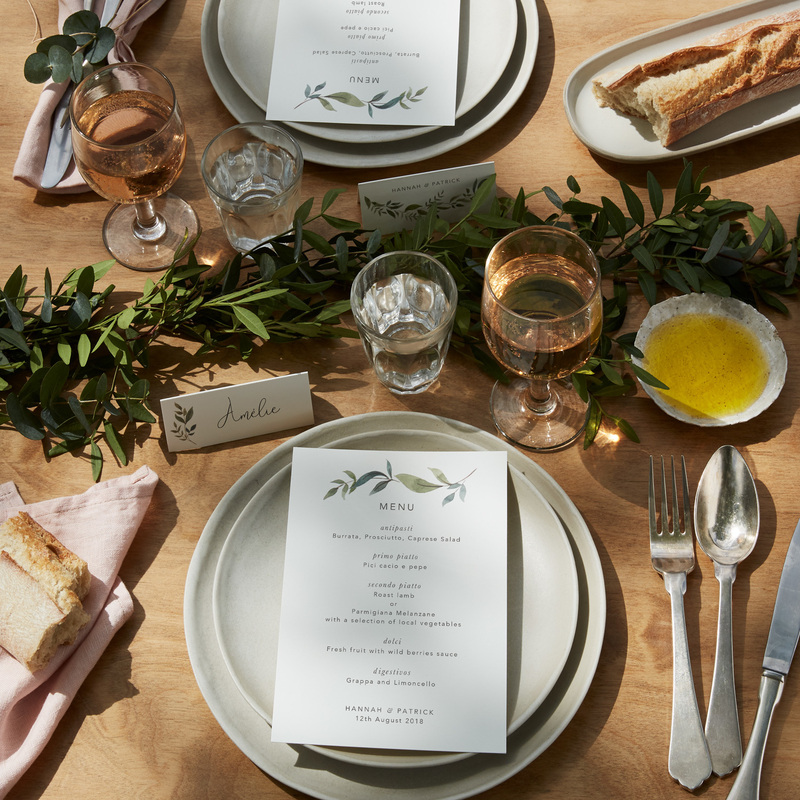 Botanical menu cards look even better when topped with a sprig of real foliage, for example. Tip: Leave blank space to handwrite on our designs or choose a font type and we’ll print them beautifully for you. Don’t forget to send thank yous to all your guests. 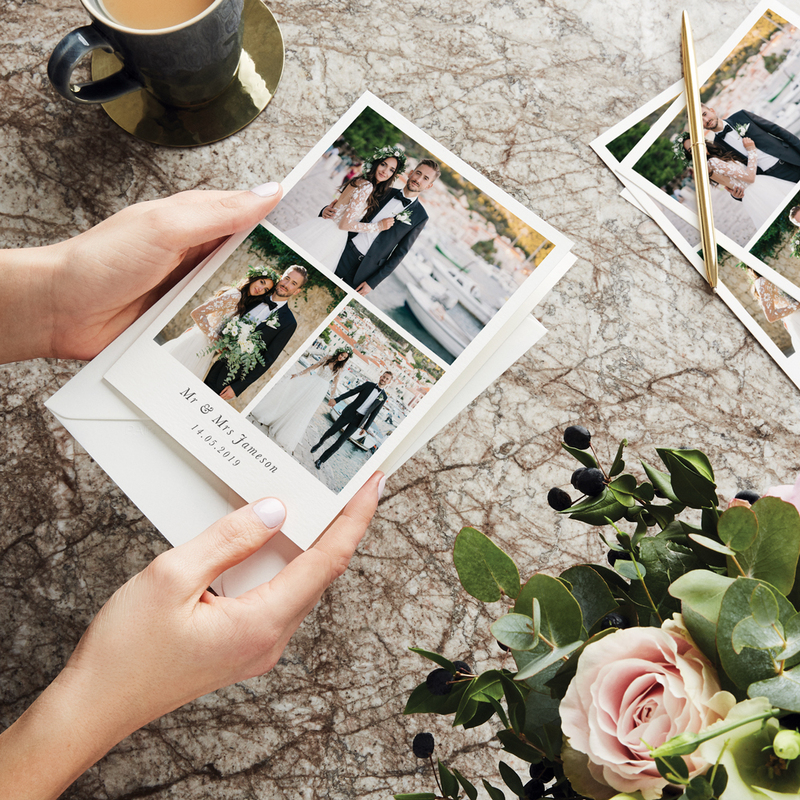 Look for cards with colours and motifs that’ll rouse memories of your day or share one of your wedding snaps with a photo card. Add a luxurious twist courtesy of double-thick paper or envelopes with coloured or patterned linings. Tip: Sign up for a calligraphy workshop to make an extra impression when you come to write your cards. 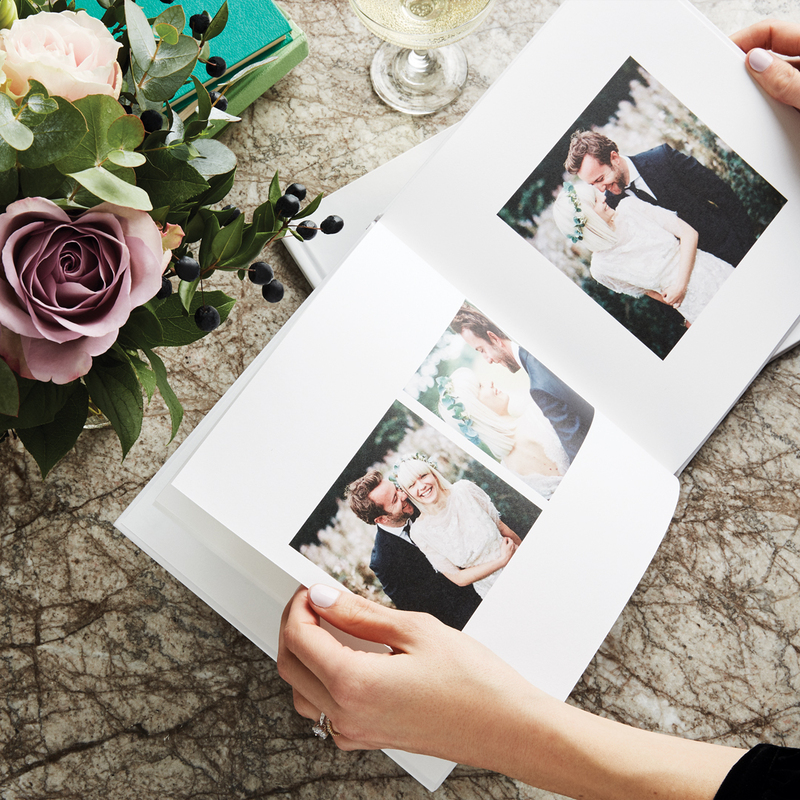 Photo Books: As soon as you’ve got your photos! 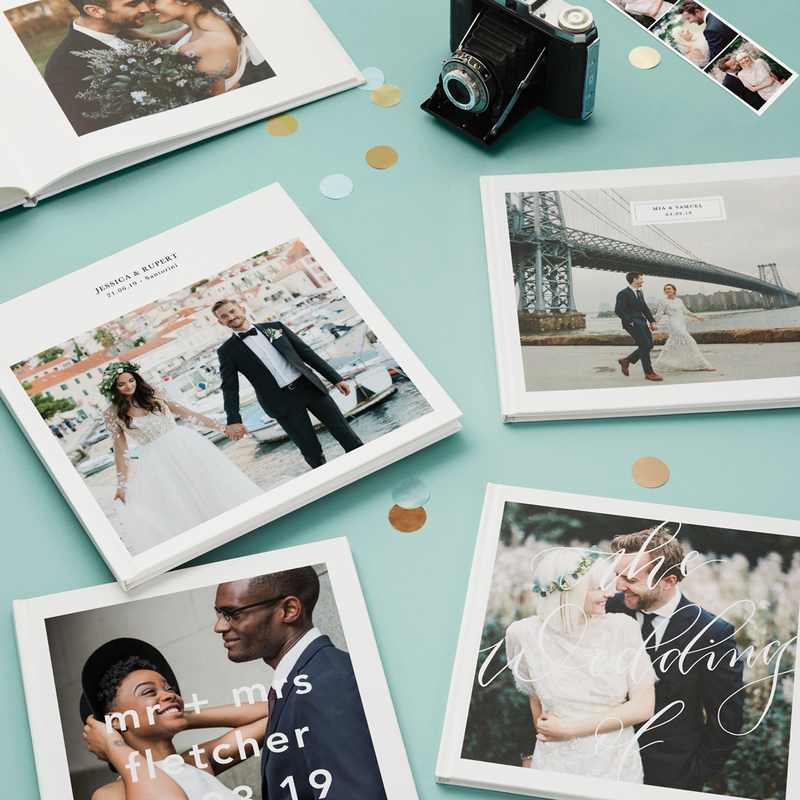 A thoughtfully put-together photo book makes a keep-forever treasure for the two of you or the perfect gift for your wedding party. You can also make one up before your wedding to use as a guest book – just remember to leave enough space for guest comments. 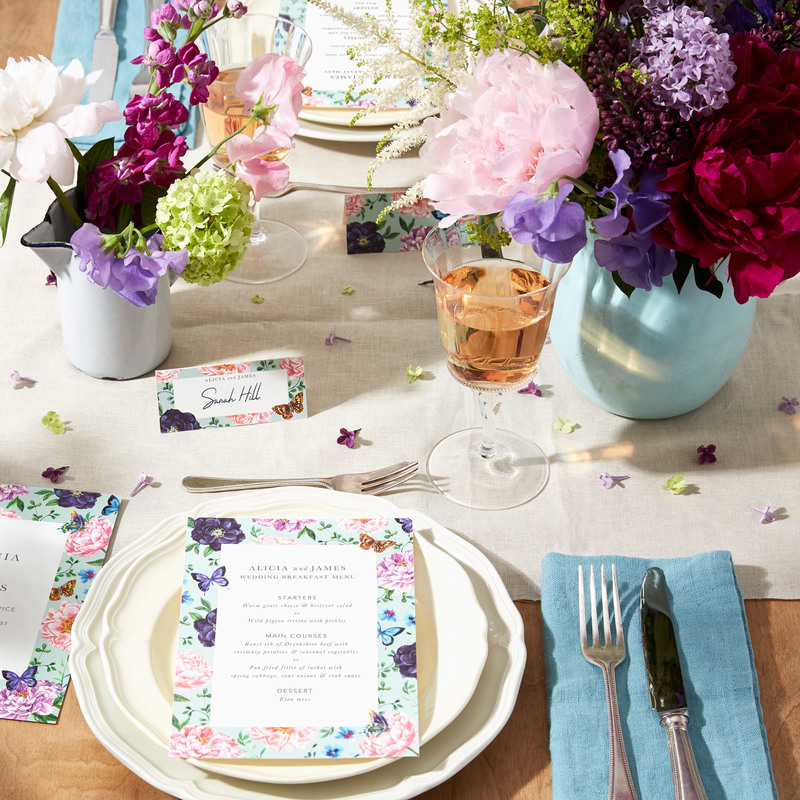 Tip: Save room to stick invitations and other little mementos from your day throughout.